THERE IS A TYPE OF CHRISTIAN SERVANT CALLED A "MISSIONARY". ​WHAT MAKES A MISSIONARY DIFFERENT FROM A PREACHER OR TEACHER? Proverbs 3:5,6 tell us not to lean on our own understanding, but that we should trust in God and let Him take charge. A missionary is a walking evidence of this verse. A missionary is kind of like a postal carrier. He or she delivers the message given to them. God has the message for the Africans, but he wants to use His people on Earth to carry His message. It's a challenge, because many times the missionary goes into an entirely different culture and even a new language. 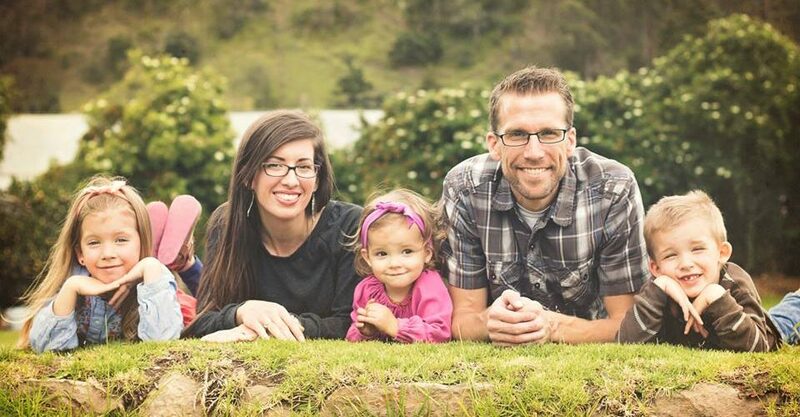 Missionary Jim Smith said that his family's decision to leave a comfortable life in a church in Tampa, Florida, and get out of their comfort zone to serve in Africa was to realize that they could trust God. Jim said that a missionary is a "mouthpiece" and a "toll in the toolbox" for the Lord. Understanding that if God would want the Smith family in Africa meant that Jim would be fully trusting in His leading and protection. Jim says even if facing dangers from crime and sickness in Africa, a missionary simply says "yes" to obeying God. He and his family faces struggles in translation and in culture, but in knowing that God made and loves the Africans, they know that their mission is to continue to communicate God's plan of salvation through teaching, film work, and other means of outreach. A missionary is a great example of trusting in God leading the pathway. They entered Africa and found out that there was no home for them, no electricity, and they faced malaria. Malaria is Africa's number one killer. "All the worst flus you ever had in your life, all at once." His son Camden ​got the sickness so bad, he was actually in the ER with no pulse at times. Jim's missionary work faced a crisis of belief; would he rely on God to take care of his son as well as his family so that they could continue to reach Africans for Christ? His son made a turn and survived. Jim said, "when we face those crisis times and we see Him come through, it changes us." They went through a car accident and evn alsmot losing a son to a choking hazard. Still, as missionaries, they continued to see God provide and care for them. "God choosing to use us is an amazing truth," said Jim. "If we are here as God's children, God wants to use us right here and right where we are at. God can make a donkey to speak, He can bring water out of a rock, and He decides to use you. That's amazing." The missionary to Africa has helped people in addiction, through depression and into salvation. "God chose to use us, "" said Jim. "Isn't that the coolest thing ever?" God even uses the supernatural sometimes and the missionary gets to witness that. Seeing the unexplainable builds the missionary's trust. THEY ARE CHURCH-PLANTING IN SOACHA. THAT MEANS RENTING A BUILDING, GETTING A STAFF, GOING OUT AND 'CANVASSING" (door-to-door visitation) THROUGH NEIGHBORHOODS.